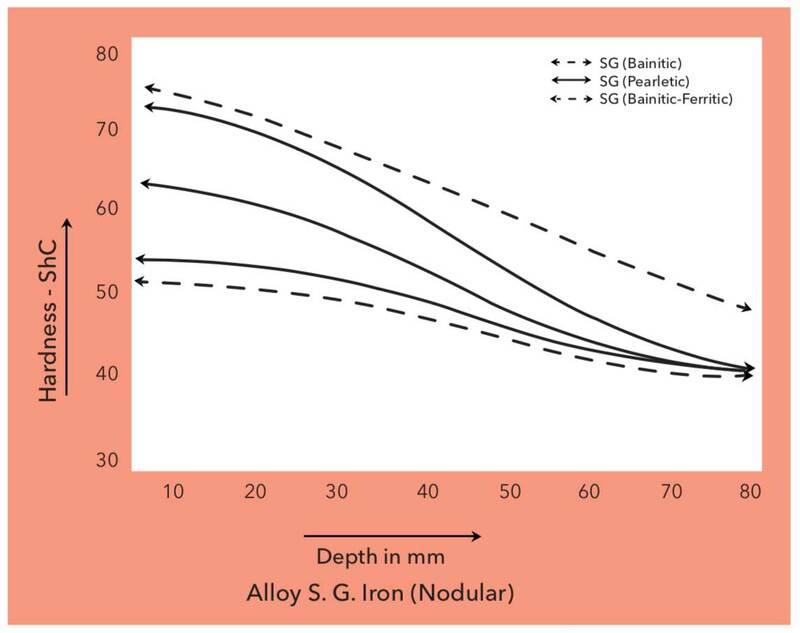 S.G Iron (Nodular) or Ductile Iron rolls are available in a wide range of hardness & composition for a variety of applications. The matrix structure varies from Ferrito – Pearlitic, Paralytic to Bainitic & Martensitic together with different carbide contents and graphite in the form of spheroids/nodules. 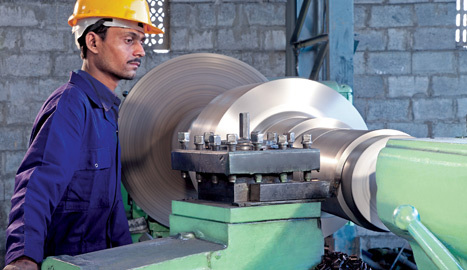 The rolls are used in roughing, Intermediate as well as finishing stands of both heavy & light section mills. 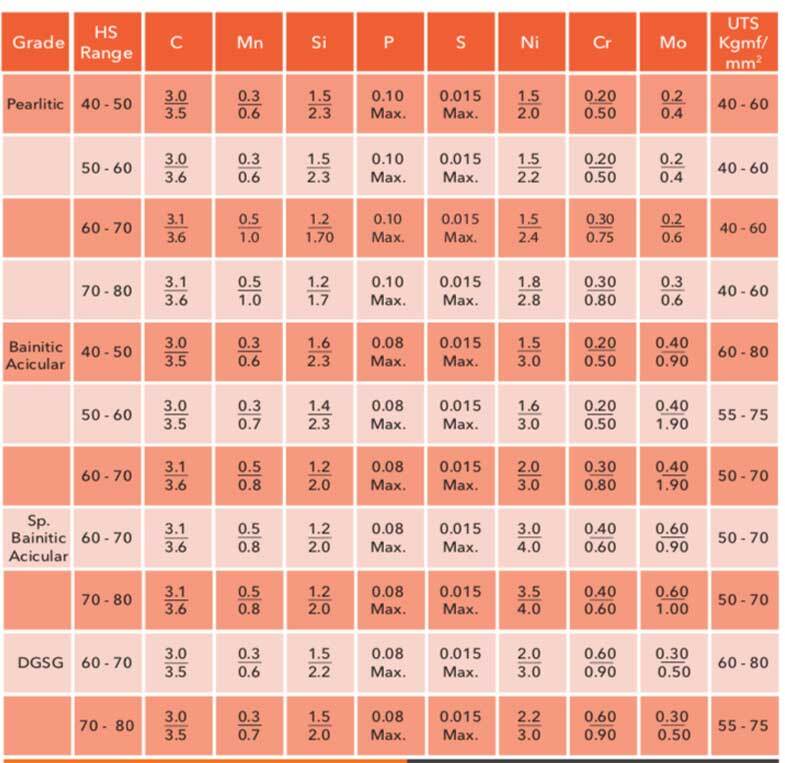 Some critical grades are heat treated for higher strength. 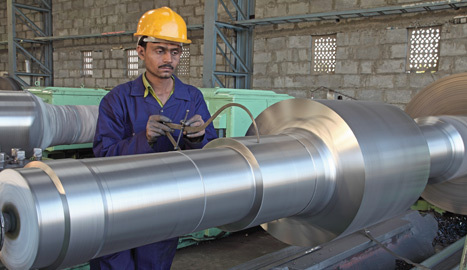 Chemical composition and structure are chosen to suit specific application.